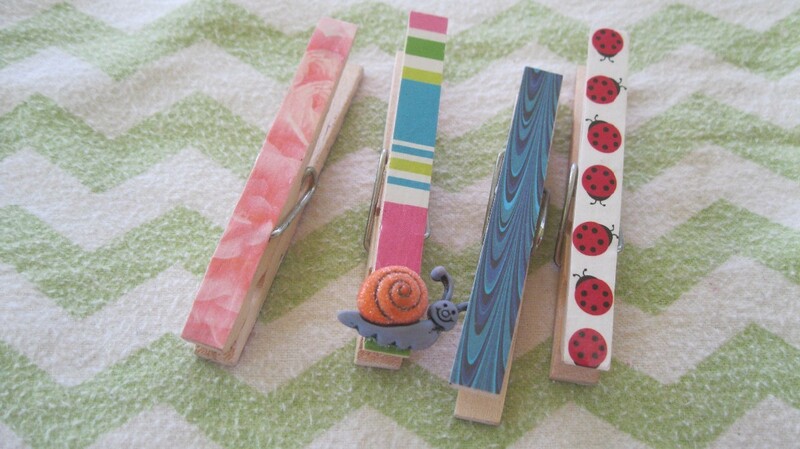 There's really nothing wrong with a plain clothespin. But, I thought I would "jazz" mine up, just because I could! 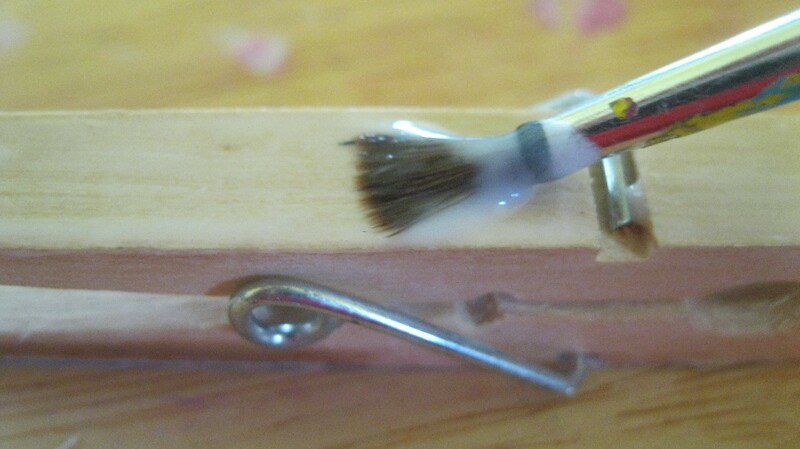 This is a very quick, easy project. 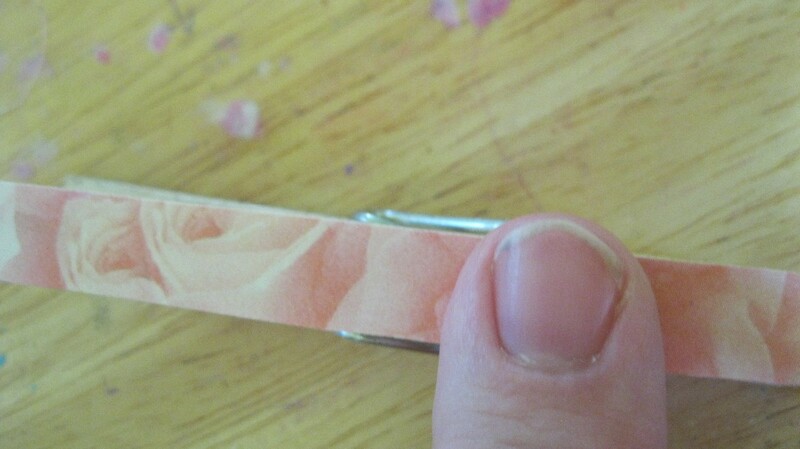 You can use them as fancy chip clips, as magnets on your fridge, with a magnet glued on the back, or whatever purpose you can imagine! Total Time: 5 minutes, minus drying time. Yield: as many as you would like! 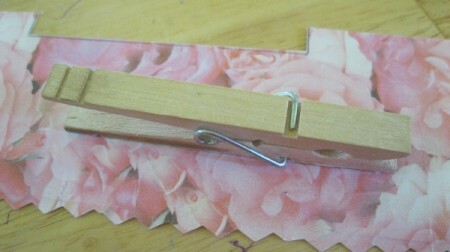 Place clothespin on scrap paper. Trace around it with a pencil or pen. Cut out the shape, cutting on the inside of the pen marking. Apply glue or modge podge to the top of the clothespin. 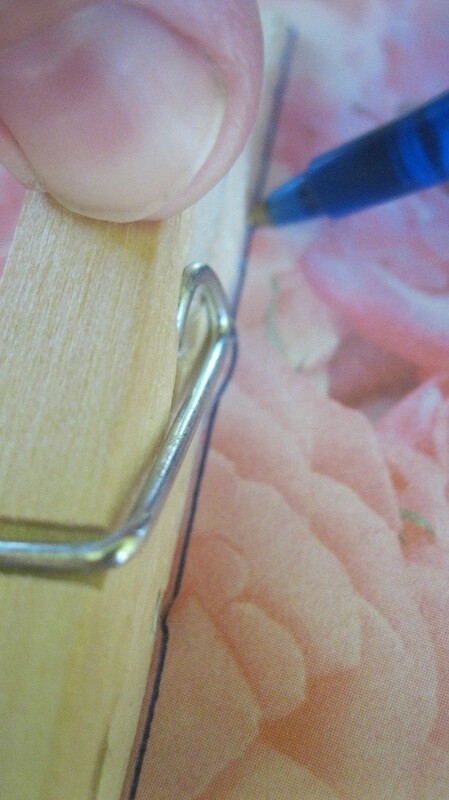 Place the paper on the clothespin. 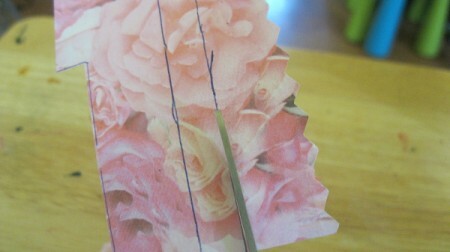 Press on the paper, smoothing out any air bubbles. 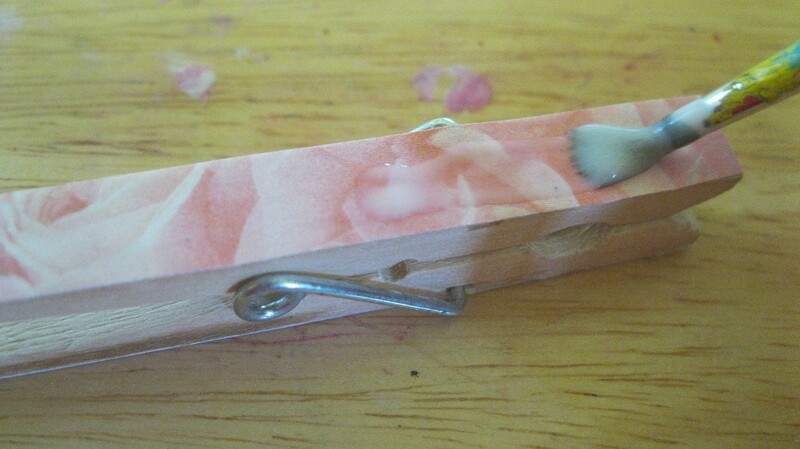 Once dry, apply sealer to keep your clothespins from getting stained or dirty. Add embellishments, if you would like. 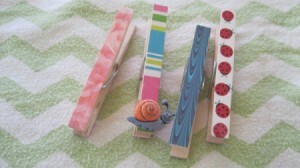 You could also add a magnet to the back, to place the clothespin on your fridge to hold notes, pictures, etc. I love these, good job!